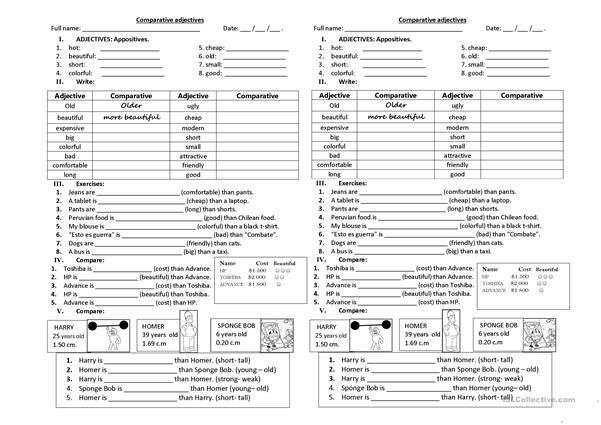 This worksheet helps you evaluate comparative adjectives. First, you recognize oppositives. Then you write the comparative form of the adjective . Finally you have some exercises to practice comparative adjcetives. This printable, downloadable handout was created for business/professional students, high school students, elementary school students and adults at Beginner (pre-A1), Elementary (A1), Pre-intermediate (A2) and Intermediate (B1) level. 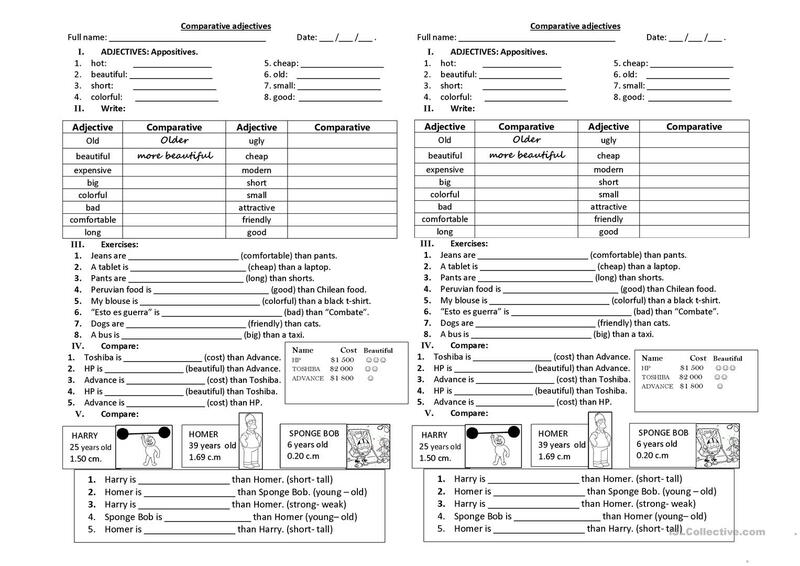 It is a useful material for consolidating Comparison (comparative and superlative) in English, and is excellent for honing your groups' Speaking, Reading and Writing skills. It centers around the theme of Opposites.